With some time to ourselves away the boat, I reviewed our website and found some dead links that needed fixing. A lot of them were on our Magazines Page. Almost from the time we began thinking about sailing, we’ve started maintaining a list of sailing-related magazines on our site. It basically started as a simple list of magazines that we found while searching for various things online, but has since become kind of like a sea glass collection…every time we find something, we throw it in the ever-growing pile. It’s interesting that such a narrow topic as “sailing” could sustain such a broad number of periodicals. If my count is correct, we’re now up to 44 with this most recent one, which comes from Australia. 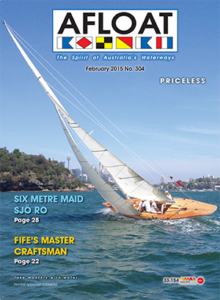 Afloat is a freely distributed print magazine and describes itself as, “the most popular monthly boating magazine in Australia with Distribution over 35,000.” Also available online as a free digital download, or readable through your browser. Leave a comment and let us know what’s your favorite sailing magazine. We got hit by lightning - Now what?